Prepare for the Cambridge First Certificate exam in Manchester. 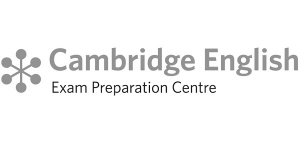 Communicate School is a Cambridge exam preparation centre. Full-time – 18, 24 or 30 lessons per week (combination classes). Each lesson is 50 min. * Times of your classes will depend on your level. We normally have 2 options for each level during the day. Most classes are between 9 am and 2:30 pm but evening classes are also available. When can I join the FCE exam preparation course? You can join the course any Monday. How long will it take to prepare for the exam? This will depend on your current level of English. On average, to move up by one level, you will need to study 12 weeks in a full-time course or 24 weeks part-time. If you have studied on level B2 before, you may be ready sooner. It is best to book a free level assessment with our teacher. How will I know that I am ready to take the exam? You will have a monthly one-to-one tutorial and discuss the progress with your teacher who will advise if you are ready to take the exam and recommend what you need to work on. Do you do trial exams? Yes, you will practise mock exams during your classes every few weeks. What level will my classmates be? All students must be B2 level in order to join this course. The certificate is a proof of B2 level of English. It is desired by many employers and will give you an advantage when applying for jobs where good command of English is required. I want to improve my speaking. In the First Certificate course you will spend equal time on reading, listening, speaking and writing. It is common to combine the FCE course with Conversation classes to get extra speaking practice. The price for all courses is the same. As an example, if you are taking a 24 lesson course (on average 4 hours/day), you will do 12 lessons FCE, 9 lessons General English and 6 lessons Conversation in a week. The exam dates can be checked here: https://www.cambridgeenglish.org/exams-and-tests/first/exam-dates/. The speaking part of the exam is done on a different day; you will need to contact the exam centre to find out when this might be. It is approximately £175, but this may change at any time. The registration closes 6 weeks before the exam date. Bring two passport photos and collect the registration form from our reception.